Cut-to’s, tag-outs, time dashes…the Los Angeles improv duo Rollin’ in Riches has these often (but not always!) in their shows! We get asked a lot about it…how do we know when to do it? How do we know WHAT the move is? When one person makes a move, how do we know it’s a new move and how do we know what they’re intending? In this workshop, we teach how we go about doing these things when we play! 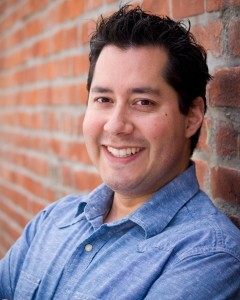 Rolland Lopez has been teaching and coaching improv for almost 5 years. He loves teaching, whether it’s working with seasoned players or introducing Improv as a brand new concept to beginners. He currently teaches improv at all levels at M.i’s Westside Comedy Theater in Santa Monica, CA (next door to LA) and has been a member of the flagship short-form show, Mission Improvable, for over 6 years. As a past member of different house teams, he performed regularly on the Westside stage for 5 1/2 years as well as performed at the Seattle Festival of Improv and at the Improvaganza Hawaii Festival of Improv as a member of “Team X”. He coached the lottery show, The Draft, for 2 years as well as several drop-in workshops. As a voiceover actor, Rolland has done numerous radio commercials, and narrated industrial videos, eLearning modules and Explainer videos. He was the voice of Poncho in the animated version of the “Pooch Cafe” comic strip and the voice of Eliot in DOA: Dimensions on the Nintendo 3DS. He’s not a huge fan of hiking or walking on the beach in the hot LA sun but he can be easily talked into going salsa dancing, studies Russian in his free time and is desperately trying to cook more often while simultaneously wash fewer dishes. Overall, Rich Baker likes to be goofy and fun and tends to not enjoy being bored. He loves many things: science, comedy, movies, TV, video games, dogs (specifically his dog Maggie), comic books and much more. He’s worked as an actor/entertainer his whole adult life and because of that has gotten paid to go all across the US, the Caribbean islands, parts of Mexico, Belize and many other fun locales. He first experienced improvisation in 1999 and hasn’t looked back yet. First, he took classes with Fort Worth’s famous comedy troupe Four Day Weekend. He went on to co-found TCU’s first and only (still running) improv troupe Senseless Acts of Comedy. After graduation he performed improv in Dallas with ComedySportz, PaceCar and Kidney Punch. 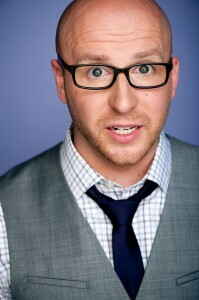 In 2005 Rich moved to Chicago where he studied at the iO Theatre and Second City. During his time in the Windy City Rich performed with ComedySportz Chicago, Second City Theatricals, Mission Improvable, The Comedy Shrine, Laugh Out Loud, and WNEP Theatre just to name a few. Since moving to L.A. in 2014 Rich has taught and performed at the West Side Comedy Theatre and Second City Hollywood in addition to co-writing/performing Nerdology – a comedy interactive trivia show, and coaching several independent comedy troupes. He is represented by Affinity Artists Agency.